Unfortunately, it is not easy to find a good tax attorney, although they are out there. Like any major decision, it is important that you carefully research the attorney that you intend to hire and don’t fall for false promises. Set forth below is a guide to assist you when hiring a tax attorney. Have you received a telephone call from a tax representation firm at home or at work? If so, the caller is acting in an unethical fashion known as “ambulance chasing”. 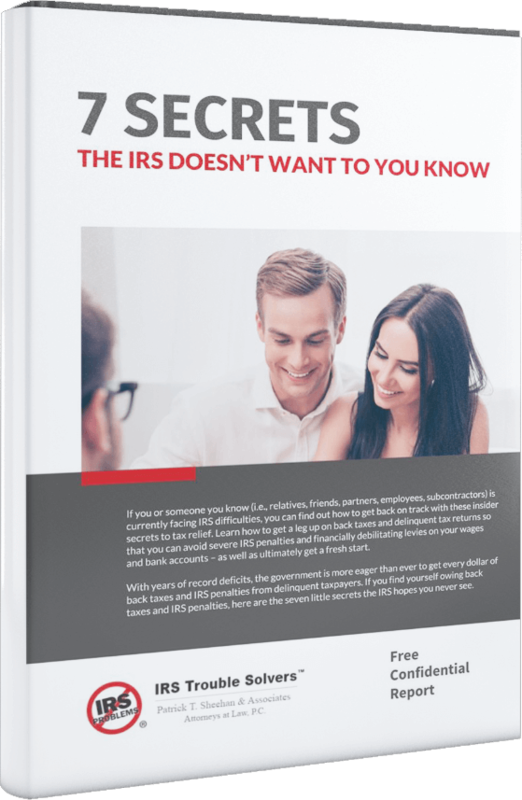 CPAs, attorneys and persons authorized to practice before the IRS are strictly prohibited from contacting potential clients via telephone. If you have received a telephone call from a tax representation firm, it means that they are acting in an unethical fashion. You can report these individuals to the IRS Office of Professional Responsibility at opr@irs.gov. Some contact from tax representation firms is permitted but is typically limited only to mail that is marked as a legal advertisement. Telephone calls from tax representation firms are unethical and are strictly prohibited. Hang up the phone and do not hire that firm. An Internet search will often reveal that many large tax resolution firms have numerous complaints related to their poor service. No matter which firm you hire, we suggest you research that person or firm using Google, Yahoo!, Bing and other search engines. If the person is a lawyer or a CPA, also research the Illinois Attorney Registration and Disciplinary Commission (ARDC) or the American Institute of Certified Public Accountants (AICPA). We also encourage you to perform a search on Patrick T. Sheehan and Associates. Your research will help you make the best decision as to who to hire. About half of our clients have hired somebody else prior to hiring us. Unfortunately, those taxpayers have lost many thousands of dollars and many months of time. Don’t make that mistake.